We begin with drinks for “Anna Saves Them All” and “Dharmas,” concocted by Molly Tanzer and Jessica Leonard. Complex and seductive, bitter and floral, cloudy as a moral quandary, medicinal and yet pleasantly sweet, Venom is the pale mint green of louched Absinthe… but with so much more depth of flavor lurking beneath the surface. Arak is a Levantine spirit, clear and anise flavored, similar to ouzo. It turns cloudy when mixed with water, so make sure to use lots of ice to produce the cloudy, milky quality that results from this mixture. Shake everything together with lots of ice, strain into a chilled cocktail glass, add a long, serpentine twist of lime. Drink quickly, while cold. For this story, I feel like only a drink with some real heat will do. For this, I give you The Bloody Hell. There are different versions of the drink, most involve a variation on the Bloody Mary, but my favorite recipe is a little different. This Bloody Hell gets its color from blood oranges. When not in season they can be hard to find, but you can always juice and freeze them for the off-season. The drink features bourbon and jalapeños for extra kick and spice. 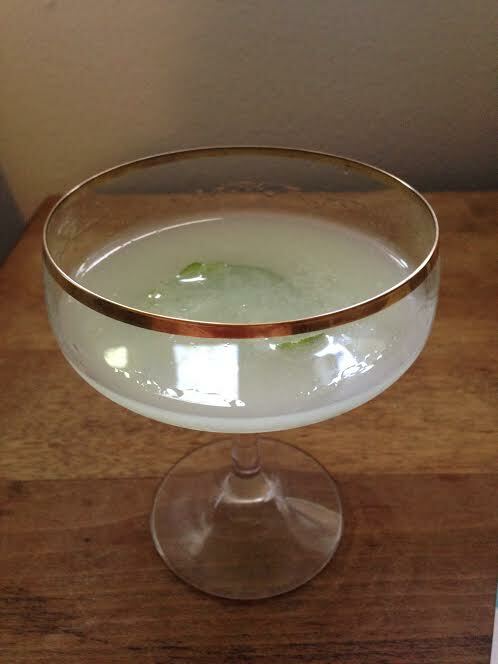 And if you garnish the glass with a jalapeño slice, hmm, doesn’t that remind of a snail shell? For the beer I say add your favorite, but I’d stay away from certain seasonal flavors as they will overpower your cocktail. A good bourbon barrel beer will work nicely. In a shaker filled with ice add the blood orange juice, bourbon, agave, and jalapeno sliced. Shake well, pour through a strainer into a highball glass with ice. Join us next week for two more Shimmery cocktails, and if you haven’t already, grab your own copy of Shimmer #21! Molly Tanzer is the Sydney J. Bounds and Wonderland Book Award-nominated author of A Pretty Mouth (Lazy Fascist, 2012), Rumbullion, and Other Liminal Libations (Egaeus, 2013), the forthcoming Vermilion (Word Horde, 2015), and a second novel that will be out in 2015 — but she can’t say anything further about that yet, on pain of death. Her short fiction has appeared or is forthcoming in, among many other places, The Book of Cthulhu (I and II), Strange Aeons, and The Book of the Dead. She lives in Boulder, CO with her husband and a very bad cat. When not writing, she enjoys mixing cocktails, experimenting with Korean cooking, and (as of recently) training for triathlons. She tweets @molly_the_tanz, and blogs — infrequently — at http://mollytanzer.com. Jessica Leonard is the author of stories about people and the things they do. She also co-hosts the Books and Booze podcast, a weekly show featuring author interviews, good drinks, and great books. You can find Jessica’s writing at The Menacing Hedge, and Counterexample Poetics , as well as on Amazon. Books and Booze just wrapped up their 110th episode! You can find all the past episodes at www.books-booze.com. You can also join the discussion on Facebook! Join the group for updates on new episodes, guests, giveaways, promotions, and you opportunity to submit questions for your favorite authors.